The "Lada" was released in the afternoon of Sep 8 after obtaining the necessary permits and was past Cape Town on Sep 10, en route to Lagos, where it was expected to dock on Sep 21 at noon now. The "Lada" remained at anchor in pos. 33° 51.56' S 025° 43.87' E on Sep 6 off Port Elizabeth being still under detention more than two weeks after arriving to discharge 14 containers of explosives material. This cargo was found to be legitimate but the ship lacked a permit for an additional 20 containers said to be carrying explosives and destined for discharging in Nigeria. 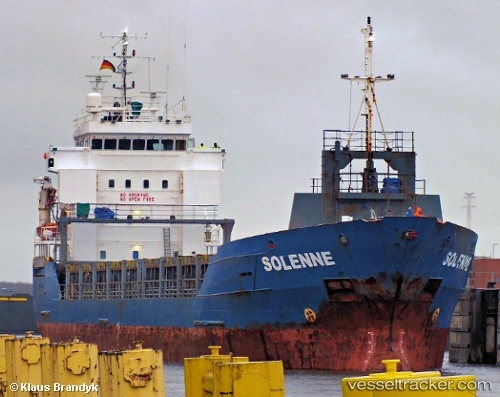 It appeared the ship was not under official detention via a court order but lacked transit permission before it can sail, so the "Lada" had tp remaine moored in the Algoa Bay outside the port. 14 containers have been offloaded safely from the arrested "Lada" that was apparently carrying dangerous cargoon Aug 25 in the Port of Ngqura. The containers were declared to TNPA and offloaded safely after which they left the port immediately on the same day. The South African Maritime Safety Authority [Samsa] confirmed that all the dangerous goods on the vessel were stored correctly in terms of international law. The containers were destined for discharge at the port.